Unleash your practice’s true revenue potential with NextGen Office – easy to learn, simple to use, yet it’s an electronic physician medical billing software sophisticated enough to meet today’s complex physician billing environment. Is a Billing Service for you? 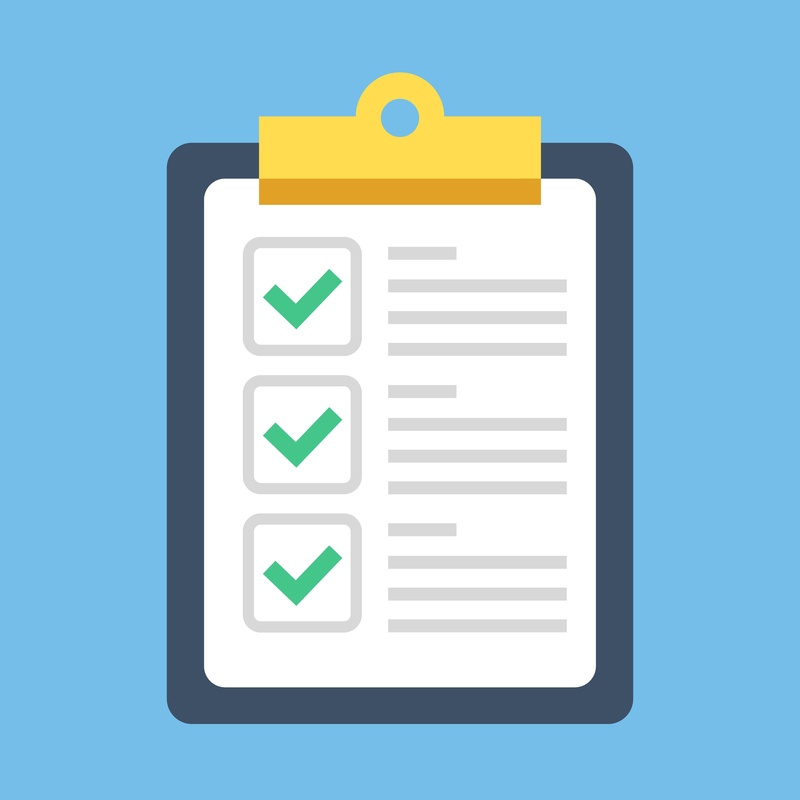 Download our RCM Checklist here! Medical billing software controls the lifeblood of your practice: cash flow. That’s why it’s so important for you to choose the best medical billing software to streamline your claim submission, provide excellent reporting so you can manage your cash flow, and speed your payment time. Cloud-based electronic medical billing software like NextGen Office allows you to manage both your insurance and patient payments more accurately than was ever possible with old style client-server applications. From charging and posting to denial management to patient billing, it’s all more accurate with our state of the art web-based medical billing program. In addition, our shared intelligence model of cloud-based electronic medical billing software allows your practice to take advantage of the learning experience derived from millions of claim submissions to prevent and manage denials. As a fully integrated system, with billing, scheduling and clearinghouse all functioning on a single interface with the EHR and Patient Portal, your workflow becomes smoother and more efficient. Why Use NextGen Office Practice Management System for your Medical Office? With fully integrated medical practice management software, you can be sure information passes seamlessly back and forth between your EMR, practice management system, clearinghouse and patient portal without delay. That means that your scheduling data populates your medical billing software and EHR without glitches; billing codes and notes flow smoothly from the EHR software to the medical billing software, and then claims are transmitted automatically from the medical practice software to the clearinghouse. Information entered into your patient portal can be easily added to your practice management software and to your EHR. When patients enter data on the patient portal, that data can be incorporated into the EMR/EHR billing software or EHR by the practice with a just single click. The airlines moved to customer self service (remember when you had to wait on a line for your boarding pass) and now we are entering a new era of patient self-service. Only billing software program that is completely integrated affords your practice the opportunity to easily leverage patient self-service. Since patient self-service is the future of how your patients want to interact with your physician practice, a completely integrated practice management system is now a prerequisite. Patients are savvy consumers — and the services of your medical office should offer them the immediacy and convenience that they expect. With our web-based Practice Management you can schedule, bill, collect and manage anywhere. Implementing the NextGen Office cloud-based software is easy – since we do all the work for you. The NextGen Office scheduling interface is specialized for fast health care and medical appointment entry. If you have ever used a scheduling program before, our interface will be familiar and get you started right away. This easy-to-use medical scheduling software also offers a high level of flexibility, allowing you to customize both your general calendar and appointment types, by time required, room/equipment required, etc. You can also limit specific types of appointments to only the locations that support it, as well as scheduling “block” appointments that do not involve a patient. NextGen Office customization tools simplify the process and reduce the staff time required to schedule each appointment. The medical scheduling software’s flexibility allows you to add as many appointment types as you need. You can also reduce phone calls at the front desk with NextGen Office patient scheduling software. Patients can request times online via our patient portal, and confirmations can be automated via email or text, with an option for patients to easily add the event to their calendar across all of their devices. Today, patients are modern, savvy consumers and they want to make appointments at the doctor’s office with the same convenience and immediacy as they would book a hotel room or order a movie to watch on demand. Recent studies have shown that text and email reminders are more effective than voice call reminders. By employing these functions, in conjunction with an online scheduler, any medical office will slash their no-show rates, thereby capturing potentially lost revenue. For proper billing, a virtual HCFA form just won’t work. Complex payer rules dictate a more inclusive interface, with fields that pre-fill and incorporate all the data required to get paid correctly on your initial submission. 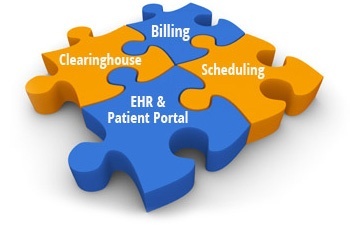 With our integrated clearinghouse there is never any disconnect between the charge entry interface and payer requirements. We unify the posting of electronic and paper advice. Detailed reporting allows the user to report payments by payer, provider and location. Patient posting screens display prior balances, co-pay amounts and guarantor balances making it easy for front office staff to collect at the point of care, and the built-in credit card module is completely integrated with the payment process. Should you get a denial, our workflow supports an easy way to mark the claim for appeal and re-send the claim to the payer along with any edits you choose to make. NextGen Office’s Denial Defender system goes far beyond the simple “code scrubber” tools offered by other medical billing software options. Our easy to use, “at-a-glance” system is designed to make recommendations on the use of billing codes and modifiers, increasing your percentage of clean claims and speeding your payment rate. Denial Defender is a color-coded system that uses a database containing tens of thousands of coding rules. Denial Defender® verifies modifier usage, checks for CCI bundling edits, determines code validity, validates pass-through items and verifies medical necessity. Plus, Denial Defender provides the Relative Value Unit (RVU) of each procedure, helping billers to maximize reimbursement. Taken together, these tools comprise one of the best denial management software systems available, insuring your reimbursement and speed of payment are optimized. In addition, Denial Defender will alert you real-time if your charges are saved to claims that are inconsistent with the current Medicare coverage guidelines. You can also modify the alert system so that Denial Defender is customized for your practice. Most medical billing software platforms don’t have tools that can assist the user in systematically reducing their AR. Practices need a mechanism that looks at payment and compares it to the contracted fee schedule. Manually sifting through hundreds of claims is impossible, only software can efficiently “bubble up” the claims that require the attention of your billing team. Tracking these claim, working denials and your ambiguous AR is what separates superior billing software system from the rest. Each year hundreds of millions of dollars worth of medical claims are successfully billed via the NextGen Office clearinghouse. With thousands of built-in edits your first pass acceptance rate should reach 95% or higher. Our electronic insurance claims processing system means that claims scrubbing and error reporting is done within minutes and sent back to you for immediate correction of any errors. This speeds your time from submission to payment, significantly improving your cash flow. In addition, our medical insurance claims management software provides a unique eligibility verification tool that allows you to schedule rechecks of eligibility at any point you specify before the appointment, reducing denials and payment delays. Coupled with the ability to create the patient chart right from the eligibility check, your practice will have the exact same demographic data as the payer thereby reducing clerical errors related to claim submission. With NextGen Office, you also have simple management of your ERAs, with the ability to upload and download ERA files, automate ERA retrieval directly from the payer, easy printing of any ERA in a readable format, and more. Plus, the seamless electronic claims processing between our medical billing software and integrated medical claims clearinghouse means that your medical claims management is as smooth and error-free as it can be. And all clearinghouse fees are included in your monthly subscription, reducing your billing expenses. With NextGen Office EHNAC certified claims clearinghouse, the insurance claims submission feature offers built-in edits so that first-pass acceptance rates reach 95 percent or higher. The insurance verification process is automated and possesses information about your patients’ insurance benefits. A “Create chart” button that allows you to create the patient chart right from the eligibility check, eliminating manual entry of registration information and assuring you that the patient data in the billing system matches what the payer has on file. The option to schedule rechecks of eligibility at any period that you specify before the appointment. “Just in time” eligibility checking reminds you when coverage has changed, reducing claim denials and payment delays. information are correct reduces submission errors. Less errors mean that you get paid as soon as possible, reducing denials and payment delays.Because the health insurance industry is in transition, the need for real-time medical eligibility verification has never been greater. And that means checking eligibility not just when the appointment is made, but also at a scheduled time that you choose near the date of the appointment, to insure the information is still current. A membership card alone is not the answer to medical eligibility verification. Automate the process and learn more than you ever have about your patient’s insurance benefits—and get paid faster. Work smarter – not harder and stop manually posting remittance advice. 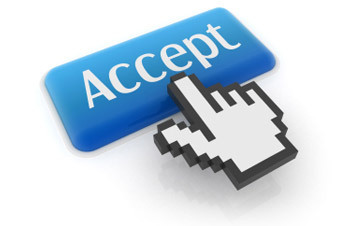 Throw away the paper and move to auto-posting with our ERA medical billing services. Easily print statements or use our electronic service to mail the statement for you. Better yet – send statements to the patient portal and collect patient balances via credit card without ever mailing a statement. Avoid billing patients until the secondary claim has been adjudicated – we will automatically filter the statements for you based on whether the patient has a secondary payer. Set report templates and either run a report real-time or create a customized reporting schedule. With scheduled reporting we will deliver the reports to you regularly just when you need them. Making sure billing is completed in an accurate manner post ICD-10 and on the incoming tide of value-based care has become more important than ever. Your practice needs to move beyond “maintenance” mode, look at the larger RCM picture, and gauge where you may have some revenue leaks, or areas where you may be able to capture more. Choosing the right software suite can help you unlock optimal efficiency, reduce cycle time, and eradicate waste. When you integrate NextGen Office Practice Management with our EHR software, you have the right tools to consolidate your stream of work and accelerate your revenue cycle. You don’t want a mixed bag of solutions to comprise your revenue cycle management program, especially as the healthcare landscape continues to change. Instead, all of the components of your EHR and Practice Management software should speak to each other with sophistication so that you can capture charges at the point of service, submit claims faster, and reduce data entry errors, for the end result of faster reimbursement and better quality reporting. Choosing an integrated suite of software that achieves this level of seamless functionality helps you increase your bottom line and maximize your revenue cycle management. We can give you the tools to become as efficient a healthcare organization as possible in order to reduce cycle time, and our innovative team of engineers continues to work on our software to to help you constantly improve your revenue cycle management process. Interested in outsourcing RCM services? We can help you with that, too. Read about our Revenue Cycle Management services here. With our RCM services, we have established a network of experts with years of billing experience using our state-of-the-art software. When you combine a single, integrated software solution for physician billing, collections and claims with the expansive array of medical revenue services and consulting that we offer, the result is an revenue cycle management strategy that will help your practice capture its full revenue potential. Our healthcare revenue cycle management services provide consulting and outsourcing for physician and medical billing, collections and claims using our innovative, top-of-the-line software. Stop hassling with coding, reporting on performance indicators and getting statements out to patients. Complete your billing cycle. Even when your staff is off the clock, your claims are being processed and optimized. If your revenue is down, choosing a NextGen Office revenue cycle management solution will improve your practice’s cash flow and free up time and resources to provide quality care for more patients. Our solution is available as a standalone RCM service or as part of a comprehensive system that works synergistically with our award winning EHR. Our RCM medical revenue services come with no catch, on a variable cost model — and we don’t handle your cash, either. Let’s face it, the burden on clinicians and their practices have become heavier and more complicated than ever. Between MACRA and MIPS, ICD-10 and the ever-changing healthcare landscape you need to be able to provide the best care possible — without letting your practice’s profitability suffer. After all, you became a physician for a reason, and that reason most likely did not involve chasing insurance companies. Physicians and other care providers chose medical training over business school for a reason. Partnering with a NextGen Office affiliated RCM service will allow your practice to focus on seeing patients; we take care of the rest.